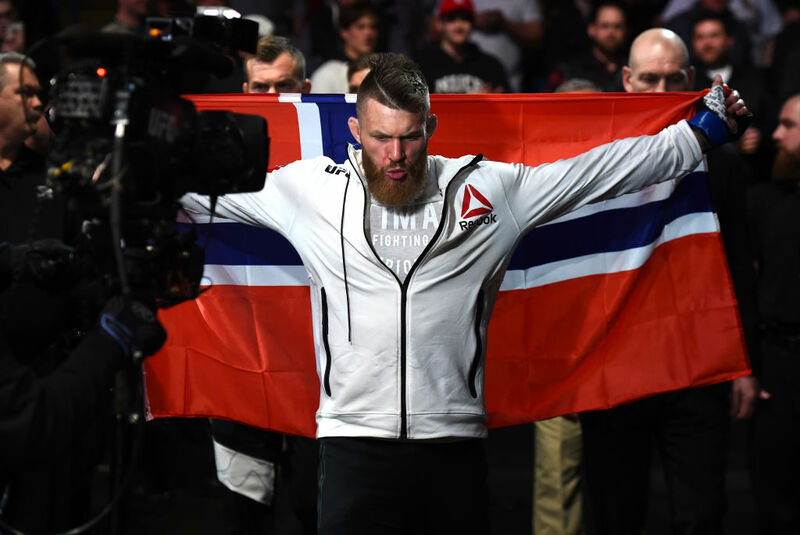 For Norway’s Emil Meek, UFC Hamburg is about as close as he can get to a homecoming. 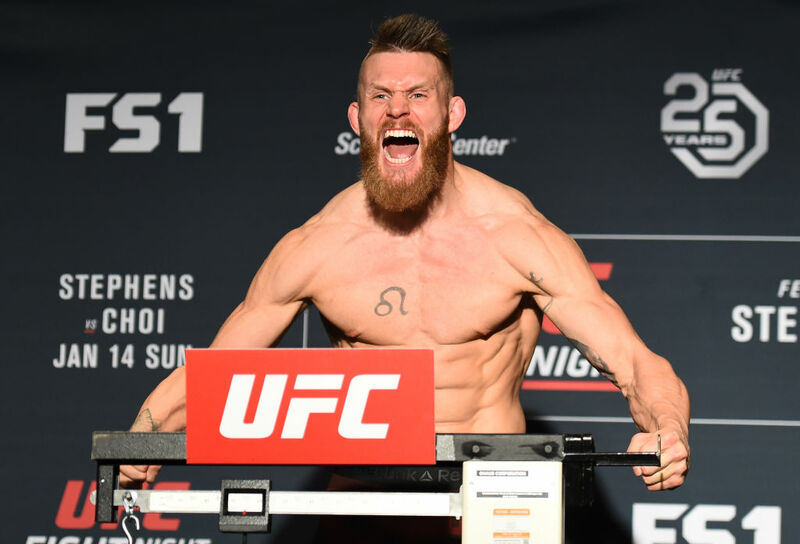 And after fighting stateside in his first two Octagon appearances, “Valhalla” is excited to show everyone in Europe just how much he has improved since joining the UFC in 2016. He will be taking on Bartosz Fabinski, who hasn’t fought since 2015. We caught up with Meek to find out how he’s feeling about being back in Europe and about his match-up. UFC: Your first two UFC fights were both in North America. How does it feel to be fighting back in Europe? Meek: It feels like you’re back home again. All of my fights except those two UFC fights were in Europe. I asked to be on the card so I can have my friends, family and fans at the show. They give you a special kind of energy and I feel invincible. You don’t want to lose in front of them. UFC: It's not too bad of a flight from Trondheim to Hamburg, are some friends and family making the trip out to support you? And how has MMA in Norway grown since your time with the UFC started? Meek: The Valhalla army will be there waving the flag and making some noise. It’s growing so much since I broke into the UFC. It has exploded. The majority of the people didn’t know it, it wasn’t on mainstream media and then Conor McGregor happened and I happened in Norway. And the world exploded in media coverage and Norway had me. I’m very proud of that accomplishment and it’s still growing every day. I think it will just keep growing and I will keep winning my fights and we will be able to legalize MMA in Norway very soon. UFC: You list your favorite grappling technique on your UFC bio as "Viking Armrip". Do you have any other awesome Viking moves you terrorize opponents with in the Octagon? Meek: “Viking smash” It just means more force, more ruthless and less technique. (laughs). I always wanted to be the type of fighter where I would look forward to seeing myself fight. I want to perform and entertain the fans. Take chances and have some fun with it. It might be stupid but I don’t want to have a point fight. I want to fight for real. UFC: Your opponent hasn't fought since 2015. Does his time away give you the advantage? Meek: It should be an advantage. I don’t know if he has been in the gym working on his weaknesses everyday getting better. It might be a different fighter when we get to the Octagon. I’m pretty sure I know what he’ll bring to the table. UFC: Fabinski is another takedown artist like your last opponent Usman. Has takedown defense been a priority for this camp? Meek: Absolutely. Me and Johnny Nunes work a lot on the wrestling defense. Same with Kevin Lee and Kamaru Usman. Just trying to get a little better at it. That’s a part of the game I want to get better at, and I like it too. I think it’s fun. Small technical aspects have made a huge difference. UFC: I've seen you putting in work at the UFC Performance Institute during this camp. What's it been like working with the PI staff as you prep for Fabinski? Meek: It’s been great. It’s that general feeling of being treated as a professional. Being able to train like you should. I have handpicked my training guys, my coaches and the staff at the PI ask me what I want to improve on. All of that stuff comes together and feels like a complete team. There is no wasted training. UFC: You faced Kamaru Usman - a top contender - in just your second UFC fight… What was that stage like? Did you feel the moment? Meek: I kind of felt like I beat guys that were at his level before. I felt ready for him and I still feel ready for that type of competition. I lost the fight, but I did better than all the other guys that he fought. We talked at the UFC PI and he told me that I did really well against him. He’s a tough guy and he said I was one of the toughest fights he had. UFC: What did you take away from the loss Usman? What did you learn about yourself? Meek: I learned that I belong in the top of the world. I left the Octagon feeling that I could have given more. I remember when the fight ended I was upset because I felt like I had more. Give up something to gain something. If you have more to give then just f*****g give it. Steve Latrell, Gavin Porter and Jon Gagnon are digital producers and writers for UFC.com. Follow them on Twitter: @TheUFSTeve, @PorterUFCnews and @jgagnonUFC.